MELBOURNE—Australia’s conservative government is facing a huge electoral defeat as it heads into the final sitting of parliament ahead of a national election expected in May, a widely watched poll found on Feb. 11. Morrison declined to comment on the poll on Feb. 11. 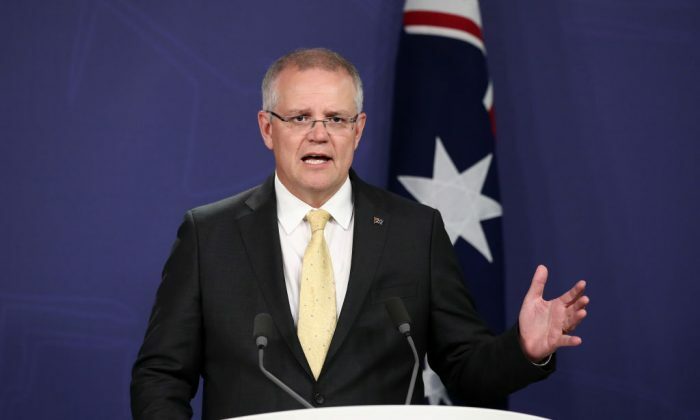 Delivering a speech in Canberra, the prime minister sought to persuade voters that the ruling coalition’s national security policy was more robust than the opposition’s.